Buying a home is one of the most important financial decisions you will make. And like most things in life; it’s what you don’t know that will hurt you in the end. Research is everything! Don’t just take our word for it, your #1 goal is to become an informed consumer before you shop for a mortgage. This article will cover the top mistakes that people make when they are shopping for a mortgage. Not shopping around to get the best mortgage rate. Taking too long to clear problems from your credit report. Carrier changes before your your mortgage loan goes through. Lying or omitting information on your loan application. Not having a sizable down payment. Did you know that almost 50% of all home buyers do NOT shop around for the best mortgage rate? This was the data produced by the CFPM (Consumer Financial Protection Bureau) in a recent study. Think about that for a moment, with almost everything else that you purchase, you will instinctively do comparison shopping. Example: if you are buying a TV off Amazon, you will naturally compare price, size, and picture quality. Most home buyers will focus on the neighborhood and home price before even considering that they can shop around for a better mortgage rate. When you are working with a budget there are so many other factors to consider that will have a much longer impact to both your monthly budget and potential profit from home ownership. These other factors include the total loan price, amount of money you put down (see #5) and the over all closing cost. Make the smart move and shop around for your mortgage. There are many alternatives to traditional mortgage lenders. Some online companies are now even advertising approvals in under 8 minutes. So finding a lower rate may not even take you that long. Knowing your credit before you start shopping for a mortgage loan would be ideal. You can use free services like Credit Karma to get a free report so you can know your credit score before even applying. 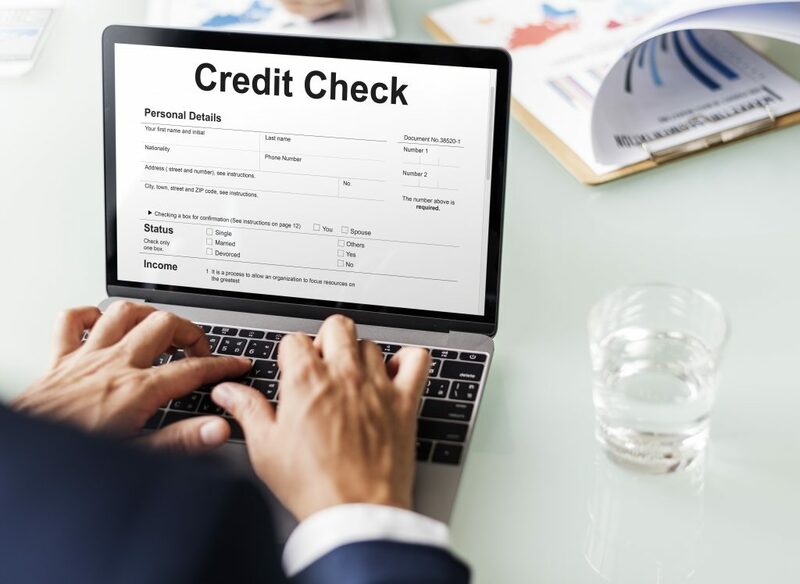 The obvious reason that you want to pull your credit report before you begin shopping for a mortgage loan is to easily identify potential problem areas or errors on your credit report. When you are buying a new home you will get a mortgage loan with preferential interest rates the higher your credit score is. Ultimately it’s your APR (Annual Percentage Rate) that will dictate your monthly payments and how fast your begin chipping away at your principal loan amount. Some of the basic tips you can do to improve your credit score is to pay off your credit card balances. Do not carry a balance over 25%-30% of your available credit limit. Also, make sure that you are paying your monthly bills in a timely manner. If your credit report shows 30, 60, or 90 days behind you will not be eligible for the best mortgage loan rates. Lastly, look for errors or false information on your report. For instance, if you recently paid off your car loan and the bank is still reporting that the account is still open. This can have a negative impact on your ability to qualify for your home loan. Mortgage underwriters will look at the amount of time that you have at your current job to measure your income stability. There is no metric in place to account for previous employment history and a potential boost in income from taking a job with better pay. This can also throw off your debt to income ratio which is a key factor that banks use when underwriting loans. In Short, it’s never a good idea to change jobs until after your home loan is approved. If you find yourself in the situation where you have a better job offer during a loan approval process, just explain the situation to your potential employers and ask for a later starting date. It will be worth it in the end. It’s also worth noting that if you own your own business or you are in a business where your income is decided by commission (example: car salesman), then you will need to show 2 years of federal tax returns in order to qualify for a home loan. We have 2 rules in our house; Don’t Lie and Don’t Disrespect Mama. In some ways, these same rules apply when applying for a home loan. Don’t lie,don’t think about it, don’t entertain it . . . just don’t do it! Omitting information from your mortgage loan can also have catastrophic consequences when you are trying to buy a home. There are many financial items that do not show up on a credit report, but the onus is on you (the loan applicant) to disclose them. These include child support payments, alimony payments, student loans and more. Mortgage lenders need to ensure that with your income is capable of sustaining the monthly loan payment. So understanding all parts of your personal finances is the key to helping the bank make an informed decision. But what about an honest mistake of forgetting a small debt item? Try to contact your mortgage underwriter as soon as possible to avoid any costly mistakes. Learn the acronym PMI (Private Mortgage Insurance) which is a hedge for mortgage lenders and ultimately cost the borrower. While you can purchase a home with as little as 0% down, if the down payment is not greater than 20% then a PMI is added to a loan. Depending on the value of the home and the mortgage rate you are approved for, PMI’s can stack up to hundreds of dollars per month resulting in thousands of dollars in annual premiums. Essentially, if you can’t save for a down payment – you will pay additional fees each year to the lending institution. Now this is not a deal breaker. If you are not close to having a down payment but interest rates are at an all time low, then it might make financial sense to go forward with the loan.